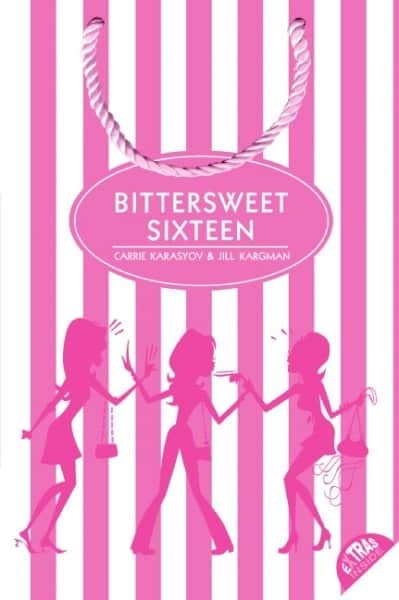 Co-written by bestselling authors Carrie Karasyov and Jill Kargman, star of the Bravo series Odd Mom Out, Bittersweet Sixteen is a story of friendship, drama, and the hazards of turning sixteen. A brand-new wardrobe from Saks, a private jet, and a red-carpet guest list: just your average Sweet Sixteen party. At least it is for the teens who attend Tate, the posh all-girls high school in Manhattan. But Laura Finnegan—thrift store junkie and scholarship student at Tate—isn’t like everyone else. And when her best friends Whitney and Sophie begin obsessing over their birthday bashes, tempers start to flare, Prada bags go flying, and guys are tossed around in vicious tug-of-war battles. Whose Sweet Sixteen will reign supreme?